Why is that what you eat is so important to our overall mental health? 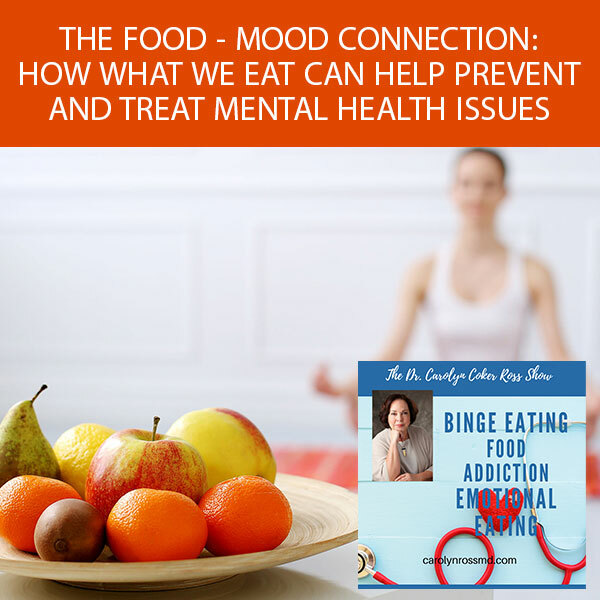 My guest, Kristin Kirkpatrick – President of KAK Consulting, LLC and a dietitian and consultant of Wellness Nutrition Services – discusses the importance of food in dealing with mental health issues. 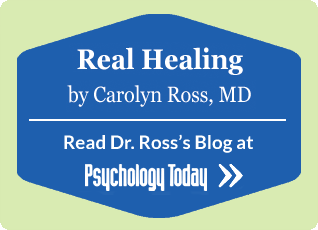 She talks about which vitamins and minerals support mood and how eating more color can promote better mental health. On top of that, Kristin also talks about mental health in relation to why gut health is so important to it. I’m here with Kristin Kirkpatrick and we’re going to be talking about food and mood. Kristin is a dietitian and consultant at the Cleveland Clinic Wellness Institute in Cleveland, Ohio. 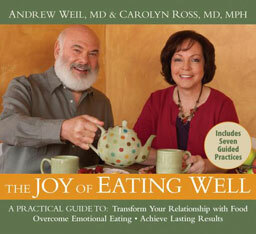 She’s also a bestselling author, an experienced presenter and an award-winning dietitian. She’s been on multiple local and national TV shows including the Today Show and the Dr. Oz Show. She’s contributed to several national newspapers and magazines such as the New York Times and Oprah. 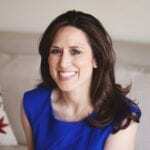 The Huffington Post named Kristin one of 35 diet and nutrition experts you need to follow on Twitter. 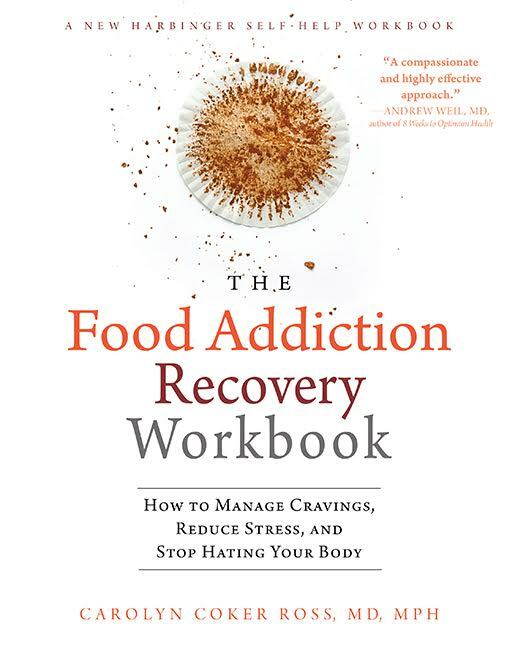 In December 2017, Kristin showed The New Rules Of Food, which aired nationally on PBS and received rave reviewsKristin also has a book, which she wrote in January of 2017. 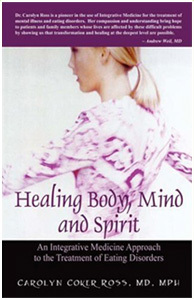 That book is titled Skinny Liver: A Proven Program to Prevent and Reverse the New Silent Epidemic—Fatty Liver Disease. Welcome to the show, Kristin. Thank you. It’s an honor and privilege to be with you. You wrote a book about fatty liver, but what we’re going to be talking more is about the connection between food and mood and how the gut is involved in all of that. Tell me a little bit about what are the things that you’ve learned about this connection? 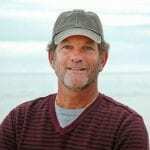 I am a senior fellow for The Meadows out in Arizona. It’s probably one of the proudest roles that I’ve ever had in my career as a dietician. The reason for that is because the connection with mental health and diets has been under the rug. We know there’s a clear connection with the liver. I wrote a book about it, but with your brain health and cardiac and your weight, we hear about it every day. Every article you open the newspaper, you can’t pass an article about something about a food related to your health. Rarely does it delve into mental health. As we increase thinking about mental health more for a variety of reasons in the past twelve months, this is a conversation people are not only having but want to know, “What can I do? I’ve had depression my entire life and I’m on medication. Is there a dietary connection and things of that nature?” We have clear data. We have very good strong scientific studies both in animals and humans. It’s time to put mental health at the forefront the way we have other health conditions related to nutrition. Do you talk about macronutrients and mental health? Are we more talking about vitamins and minerals? How do you break it down? It’s both. There are certain foods that are associated with mental health, looking at both depression and anxiety. One of the things that comes up a lot is Omega-3 fatty acids. Obviously, we could take an Omega-3 supplement or we could eat fatty fish. There have been several studies looking at wild fish consumption and then supplemental use. Let’s start by talking about vitamins and minerals and their connection to mental health. What have you learned about that? If we’re going to look at vitamins and minerals, one of the big vitamins that have been associated with mental health is vitamin D. When we look at D deficiency throughout the United States, clearly it’s a problem. I don’t know where you are right now in the country. A big chunk of people are not getting enough sun. I always live in the sun, so I’m good. I moved from Denver. I had a practice in Denver for twelve years. Even in my practice in Denver, when I tested people for Vitamin D deficiency, Denver has more sunny days than California where I live now. People are still deficient because they’re not going outside as much. They’re not going outside or they’re wearing sunscreen as they should that blocks those UV rays. We do have this deficiency for sure with vitamin D. We have seen associations with D deficiency in both depression and anxiety. There was a study that looked at individuals and D deficiency. These were people that were considered clinically depressed. There was an actual diagnosis to it. What we saw in the study was that a supplementation of vitamin D did help with their depression levels. Obviously, the supplement is the way to go. You would have to eat so much salmon to get the vitamin D that you need. When we eat food, it comes into our body and we don’t appreciate or understand all of the crazy stuff that happens behind the curtain. We think, “I’m going to eat it. It’s going to come out the other end. Hopefully, it’s all going to be good.” Everything has to work perfectly. Every enzyme has to work. Every pathway has to work. There are certain forms of food or there’s certain availability of food that can impact that absorption. How about vitamin D in dairy products? Even in vitamin D in dairy products, you’re not going to have a huge amount of absorption because of the fact that we don’t absorb food-sourced vitamin D very well. It’s not something we have. We don’t have studies that show that we were all wrong and we can all go back to eating D-rich foods. The supplement is the key. What I always tell my patients is go and get it tested. It’s important to know what your levels are because then you can be dosed correctly. I have so many patients that will either take some huge mega dose and maybe their D levels are only moderately low. They’re not taking enough and they’re D levels are like nine, they’re in the tank and they need to be looking at more of 50,000 international units a week type of scenario. Are you recommending Vitamin D-3? D-3, that’s the only one that I would recommend. Then trying to get a good quality vitamin. That’s always a question that people have, “What’s a good quality vitamin or where can I find good quality vitamins?” Most of them have D-3 at this point. You’re also going to get D supplementation if you are a woman, especially taking calcium because vitamin D is needed for the absorption of calcium. You have to figure that in, “I’m getting this D supplements. Then I’m also getting this much D and my calcium supplementation. I’m also getting this D in my multivitamin.” D is a fat-soluble vitamin. I always say from a mental health perspective that you should take your vitamin D and a fish oil supplement together because fat-soluble vitamins need fat in order to absorb. It’s not something we’re going to take on an empty stomach or right before we go to bed. You have to be a little bit strategic on the timing of when you take it. Knowing what your levels are before you self-dose yourself is important. I know that certain people are more prone to being Vitamin D deficient, particularly African-Americans or people of color who don’t absorb vitamin D through the skin. That’s something that people need to know. Even Hispanic and other ethnic races that have brown skin, they are not going to be absorbing vitamin D as well. I’m half-Dominican, what I always look at is from the Hispanic side of things are things that I’m going to be more prone to developing. We always have to look at it. 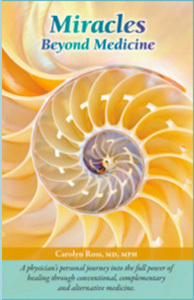 We have to look at where we came from, what are our genetic risks because there’s no one diet that will fit everybody. There was no one supplement or one food that’s going to meet every single person. The beauty of our world is that we come from such diverse places. It also makes us different, not in terms of how we look, but in terms of what we are more prone to develop over time. Besides vitamin D, what are some of the other vitamins that you’re recommending that your patients take? Omega-3 would be a great one. You don’t necessarily have to take Omega-3 in a supplemental form. You definitely could have fatty fish. I always prefer whenever possible to have food over supplements. That’s the way the body intended for things to occur. Vitamin D is an outlier because the sun is going to be the best option there. A supplement for Omega-3 or fatty fish, I would say fatty fish maybe twice a week. Salmon and trout, you want to try and focus on wild sources, not farmed sources as much as possible. That would be one option if you’re going to eat beef, then go with a grass-fed beef that has a little bit more Omega-3 as well. The cows are eating grass. The grass is coming from the soil. We don’t think about what happens behind the curtains when we eat food. We also don’t often think about the chain of what occurs in nutrients from animals. Mental Health: If there is no one diet that will fit everybody, then there is no one supplement or food that’s going to meet every single person. I understand that it’s not just grass-fed, but it’s also grass-finished. Fed and finished gives you as many Omega-3 as fatty fish. It gives you a lot. Depending on what study you’re going to look at, it depends on what the comparison is. Is the fish farmed? Is it wild? Salmon are not born with Omega-3 coursing through their veins. They are eating algae. Algae is what causes them to build up that Omega-3. I also think the sources. People often ask me about the sources. There are DHA and EPA and then there’s ALA. ALA is a plant-based form of Omega-3. You find that in walnuts. You find it in canola oil and you find it in flaxseed. That ALA although it’s great, it’s wonderful. It does have to be converted to EPA and DHA for the body to understand it and absorb it. Again, if you are at home and you’re thinking, “I’m a little bit suppressed. What do I do with this? I’m also vegan.” This does not mean that there’s nothing you can do about it. There are plenty of vegan Omega-3 supplements. There are plenty of plant-based forms of Omega-3 that you can consume. There are always options out there. 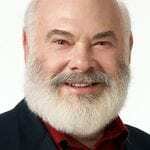 What about the B vitamins? B vitamins are another one. One of the B vitamins that always talk about is Folate. It depends again on what’s going in your genetic profile. For example, I have some patients that have what’s called an MTHFR deficiency. At the clinic where I work, we tested more than you would think. A lot of people have heard of it. They’re interested in it. When you have an MTHFR deficiency, what occurs is that when you eat foods that have folate, that folate cannot cross the blood-brain barrier without a methyl group. An MTHFR provides the methyl group. It’s like the chaperone. If we can’t get folate to the brain, you tend to be more prone to brain fog, maybe to depression, but brain fog has more studies and things of that nature. That’s one thing to look at from a perspective of folate. Are you getting enough folate in your diet? All the B vitamins are important because they are our energy vitamins. Most people think of that as energy by the vitamins. Looking at this process within the B vitamins, which we’re going to get in lentils and whole grains and fruits and vegetables. We’re going to get it in great sources. Are there certain things that perhaps you could be looking at a more individual base? For some of my patients, when I work with their physicians, we will put them on a Methylated Folate supplement. You have that chaperone that can take Folate up to the brain. Those are the little things that we are learning through science every single day. Things that are going to help to improve that. B-12 as well. A lot of people don’t know that when you age, you lose stomach acid. When you lose stomach acid, you lose the ability to absorb B-12 efficiently. You have a piece of chicken let’s say. That chicken has B-12 attached to the protein. You consume that chicken and then stomach acid goes in, detaches that B-12 from the protein, then you absorb B-12 most likely in the small intestine. When you get older and you lose that stomach acid, you don’t have that ability. B-12 is a very hard deficiency to develop because if you are not vegan, you’re going to get probably enough of it every single day. Not just meat, chicken, eggs, any animal product. Anything that’s an animal is going to carry B-12 attached to that protein. What are plant sources of B-12? None. There are no plant sources of B-12. That’s why if you are a vegan, you absolutely need to take a B-12 supplement. We can test for B-12 deficiency in the blood, which may not be as accurate as we’d want to see. My patients will have the conversation and then the next question is, “What should I take? I’m a vegan.” For me, I typically will recommend a sublingual, an under-the-tongue B-12 supplementation. Especially for my older population, once you lose that stomach acid, you can start the enzyme activity and the absorption of it with saliva. Getting as much absorbed under the tongue before it even needs to enter the stomach is always a good idea. You mentioned the gut and I know that’s an important area of research regarding mood disorders. What can you tell us about gut health and mood? This is a huge area of research. There have been so many studies. If we look at it at a very high level, we can look at two different areas of gut health. We can look at what you need to take out of your diet. Then we can look at what you need to put in. It always seems to be too simplistic of an answer, but it happens to be the most accurate one. If you are eating plenty of colors, a lot of times I talk to my patients instead of saying, “You need to eat more broccoli, kale and more apples and this.” I always encourage them to eat more color. Color in the plant world equates to more phytonutrients, more disease prevention, more anti-inflammatory benefits. From that perspective, if we look at some of the studies, diet may be one of the best predictors of gut health. There are other predictors, the method of which you were born and how your mother ate and whether you were breastfed. Back when I lived in Cleveland, we had goats and I would let my kids walk around amongst the goats. I’d had these moms be disgusted because my kids were walking around the goats. These are filthy animals and I had a pig. They’re building up their immunity you would not believe. Even looking at when you were young, if your parents were uber clean and constantly putting hand sanitizers on our kids, that might not be the best thing for our gut health. All of those factors aside, getting enough fiber, getting enough antioxidants and getting fruits and vegetables plays a huge role in gut microbiota. 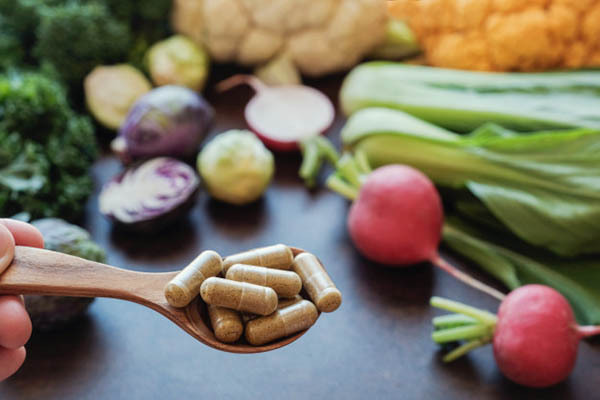 We know probiotics play a big role, although there are not a ton of studies on probiotics related to mental health and guts. There are definitely a few. Probiotics and prebiotics. We know the elimination of things. We talked about red meats, taking out huge amounts of red meat. Taking out processed meat, taking out sugar or taking out white refined grains also help with flourishing gut microbiota. It is a complete turnaround. I always tell people, just like a multivitamin is not an insurance policy, you can’t eat fast food every day, go home and pop a probiotic and think you’re fine. We have to look at all aspects of our diet and everything that we’re doing in terms of how can I make my gut as healthy as possible? As we are learning, the gut is the second brain and it plays such a predicting role in whether or not we will develop certain mental health conditions, whether or not we will develop certain health conditions, obesity. Mental Health: Getting as much enzyme absorbed under the tongue before it even needs to enter the stomach is always a good idea. I know there aren’t a lot of human studies on the gut and mood, but there are some animal studies, right? There are some human studies on gut and mood, just not always related to probiotics. Those are diet-related. If someone isn’t sure whether they have a good microbiome, how do they know? What do you tell them? How can they tell if they have a good microbiome? Sometimes it’s hard to tell. I’ll use you as an example. Let’s say you had a sky-high C-reactive protein, which is a marker of inflammation. You and I talking, there’s no way I’d be able to tell if you have inflammation that’s internal. There are some things like if your gut isn’t functioning, you’re constipated or you have irritable bowel, a lot of gas or bloating. Any of those may be signs of your microbiome is not as healthy as it could be. Gut issues can definitely be part of that. We’re talking about gut and mental health. Gut issues can also be a sign of mental health that is not being treated. That could be another thing. A lot of times I’ll have my patients come to me. We’ve done every test, we’ve looked at everything. They’re still having these gut issues, a lot of IBS. They do better with our mental health counselors than they do with me because ultimately the change had to be in the brain and not the diet. 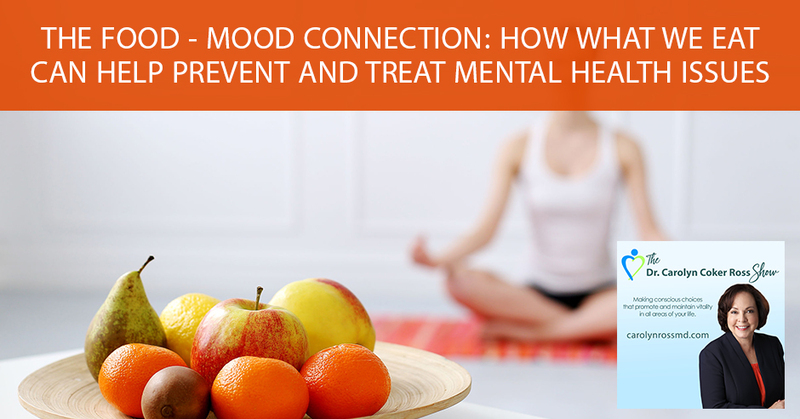 Are there other nutritional factors that affect mood that we haven’t talked about? We can always touch on alcohol and looking at alcohol consumption. I’m not talking about excess alcohol. I’m a mom so I’m biased in looking at other moms that I’m around. We have this bad saying, in my opinion, Mommy’s little secret where all these moms are going home after they pick up the kids and having two or three glasses of wine at 5:00. They’re stressed and they need to de-stress. They don’t know how to do it. I see that in some of the moms that I hang out with sometimes. Although alcohol is a sedative, it is a huge sleep disruptor. We know that there are things that can happen with the gut as well as a lack of sleep. Looking at the connection of food and sleep, which we don’t look at a lot of times, that would be another big one. You’re going to bed, you’re passing out but then 2:00 AM or 3:00 AM, you wake up and you’re not going back to bed. Looking at cleaning up the diet. Oftentimes cleaning up the diet means, “Let’s look at how are you consuming alcohol.” What are you drinking throughout the day? We always think diet, we think food. We don’t think of what are we drinking. What are you drinking throughout the day? Are you drinking sports drinks? What are you drinking? One of the best drinks you can have is coffee for example. There’s a myth that coffee’s awful for you. You can do this with any food but you can get nitty-gritty with coffee. You can look at, “I want to have organic options of coffee. I want fair trade.” You can look at all those things. What it truly boils down to is getting more fruits and vegetables, more fiber. A lot of times I won’t say more whole grains because it scares a lot of my patients, especially ones that want to stay low carb. You can still eat low carb and have high fiber vegetables for example. Things that have a lot of fiber that always makes a big difference. If people are just starting out and they have been diagnosed with depression or anxiety, where do you recommend that they get started? What’s the first thing that they can do? We’ve talked about a lot of things and it could seem overwhelming for people. My experience, I always tie back to The Meadows because I’ve seen thousands and thousands of people be helped there. I know the process that what they do works. Let’s say I’m here in Denver and someone doesn’t want to travel there though. The simple answer is to number one, talk to somebody. It might not start with being a mental health professional. Sometimes talking to someone and getting resources from that person can sometimes help. I’ve seen that. I’ve seen people that have come to me as patients. They come to me to talk about their diet, but they ended up crying in the middle of the conversation and they tell me something about their marriage. They tell me that perhaps they’re an alcoholic. Being able to open up to someone who you trust that can help you find resources is a big one. It’s asking your physician a lot of times. We all should have a primary care physician. I’m so biased because I’m from Cleveland clinic. We all have to have primary care physicians there. There’s a good reason for that. Maybe give a call to your primary care physician or if you’re a woman, you’re a gynecologist. Looking at, “This is going on. Do you have any resources for me?” This is not as strong of an expertise that I have as I do in the diet. From what I’ve seen that’s worked, just reaching out for assistance typically you’ll end up getting to someplace where you can get help. You can figure out what’s going on and how to remedy it. If people want it to start, say for example with the vitamins, would you recommend that they need to talk to their doctors first? Mental Health: As a culture, we need to take the words “diet” and “dieting” out of our vocabulary. Yes. When you look at diets and you look at vitamins, minerals and supplements, what we do know is very clear. If you’re looking at a mental health condition, treatment with mental health experts is going to be your primary goal. That has to be what you’re doing. Your dietary measures will be in conjunction with that. One of the foods we didn’t talk about, for example, is chocolate. There have been several studies looking at dark chocolate and how dark chocolate reduces subjective stress. I would never tell someone who is stressed out, “Why don’t you go home and eat some chocolate and see if that works?” I would probably say, “Let’s meet with our mind-body coaches and let’s talk to someone who’s an expert here that knows how to get you started with some meditation techniques. Let’s see if that’s what’s going on or if there’s something more of a deeper issue.” Diet is always going to be in conjunction with whatever your psychologist, psychiatrist or therapist, whoever you’re seeing. 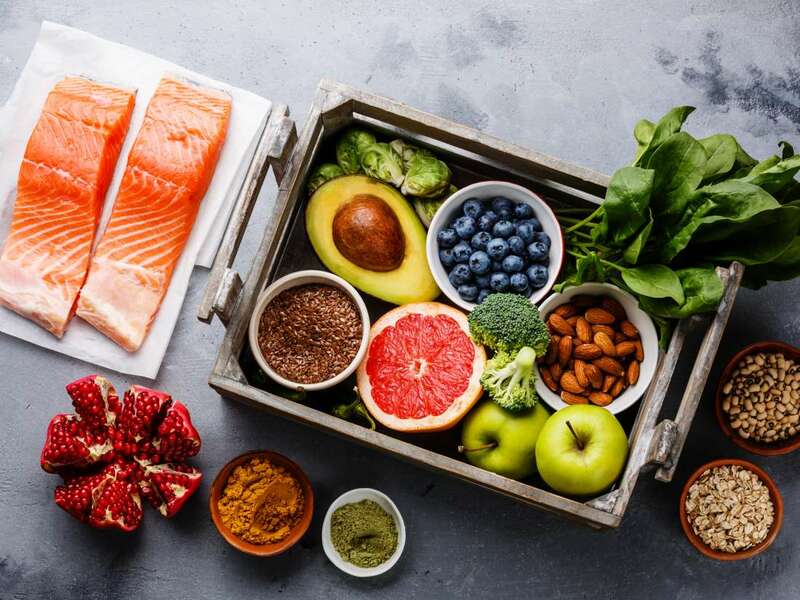 Whatever modality of treatment they have you through, diet is not going to reverse depression, but it will definitely help if you are getting treatment for clinical depression. Sometimes when people are depressed, they turn to comfort foods too. They self-medicate. 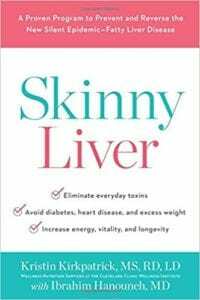 I know you have this book, Skinny Liver: A Proven Program to Prevent and Reverse the New Silent Epidemic—Fatty Liver Disease book. I’m wondering what your views are on sugar and mood and how those two tie together? We know that sugar causes problems from all ends whether it’s mental health, it increases your risk for heart disease or things of that nature, gut microbiota. If you think there’s something bad that can happen in your body and sugar might play a role, sugar probably plays a role. We can have a little bit of sugar and be okay. In the studies that we look at, it’s looking at excess sugar and how that factors into it as well. There’s always debate around this. As you said, there’s always debate about coffee. There’s always debate as to whether sugar is an addictive substance. We have plenty of scientific data. Some of it is in animals, but scientific data looking at how sugar is very hard to come off of. 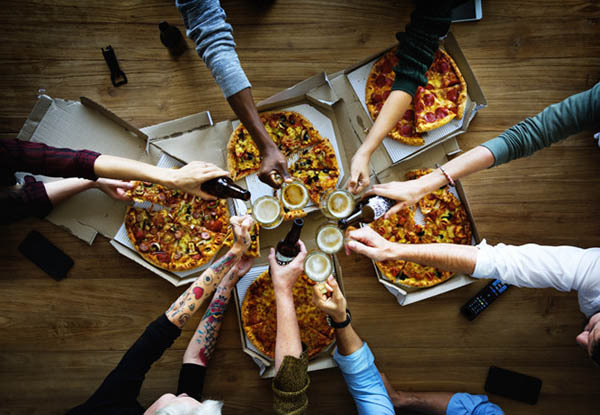 When you look at that quality of any food and alcohol is a great example of that, that is something that is addictive. I could probably stop eating black beans today and not have any real effect. When people come off of sugar, they have a very large effect and they want to go back to it. The cravings are still there. Sugar is a big problem. We are kidding ourselves as Americans if we feel that we have solved it because we have all these great low-sugar options. Sugar tastes great. Sugar makes you feel great temporarily because it increases your blood sugar. It increases feel-good hormones. Serotonin, dopamine or norepinephrine. There is a neurotransmitter impact that we know is associated with certain foods. It’s a brief moment in how we’re feeling. 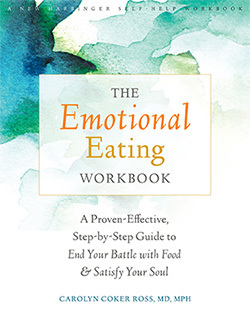 It’s not going to help us long-term, but I also appreciate for anyone that walks into my office or does a counseling session with me, how very difficult it is to get it out of your diet. Because it’s almost in everything. That does work for some people. I come from an eating disorder background. Any restriction is a problem because it sets people up for overeating or binging. Some of the studies show that when we demonize food and that’s what I worry about when we talk about sugar. When we demonize certain foods, it makes it more attractive to people. They think, “I can’t have it, but I want it.” It sets that dynamic. There have been animal studies that have shown that an intermittent and restriction, depriving the animals of sugar than offering them sugar is the very thing that sets up the addiction component. If they have free access, they’re not as likely to get addicted as if they go back and forth, back and forth. I don’t know if you see patients who struggle with binge eating and how that restrictive component can lead to the next binge. I definitely do. I have a lot more binge-eating patients in my practice than I ever would like anorexia or things like that. I couldn’t agree with you more. I was presenting over and someone said, “Can you list the top five bad foods? What’s on your bad food list?” My answer was, “I don’t have a list like that. I am going to go out with my family. I was in Washington DC. We’re going to have a nice dinner. I might have a cheeseburger and get ice cream after.” That’s not going to be every day. I agree with you that when we look at foods that we simply can’t have because they’re bad or they’ll make us fat or they’ll make us sick. If you look at studies, it’s always frequency that’s associated with it. No one has died from having a piece of licorice. You’re right, you’re much more of a mental health expert you would know this more than me. It works for some people, it doesn’t work for everybody. The fad diets or the thing that I struggle with because so many patients with eating disorders think, “I heard X and Y experts say do this diet or do this.” It’s great to experiment with nutrition if you don’t have an eating disorder. For the person who has the eating disorder, all of these fad diets, it can be the death of them. It’s so hard. 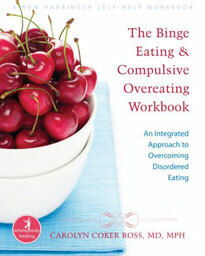 It can set them up for trigger eating disorders and then perpetuate eating disorders. I want to compress my mortality and morbidity to the end of my life. In other words, be healthy for longer before you die rather than going into your older age being debilitated with arthritis and diabetes. Do you have any last-minute words of advice for anyone who’s interested in this topic? Food and mood? Any resources? If you’re someone who is suffering from any mental health whether that’s anxiety, depression or something worse, I would reiterate the appreciation you have to have for healthy diets that have a high nutrient density. Also know that on a Friday night, you can go and have ice cream and a cheeseburger. Look at things in moderation. When we look at restriction and we look at good versus bad and we look at what’s the latest fad, all the points that we talked about, those are all things that haven’t worked. We don’t stay on those things. Which is why we continue to be a sick and obese nation. It’s about going back to the basics. It’s about eating real food. We didn’t talk about this aspect as much but trying to assess your hunger. If we think of our diet as a fueling mechanism because that’s what it is, we would never sit there and pump up the gas in our car. Once we hear that click be like, “I’m going to put a little bit more in.” We’d never do that, but we do it all the time when we eat. Trying to eat slower, chew more and be more mindful when you eat. Don’t read the paper, don’t be looking at your phone or TV. Be mindful when you’re eating, slow it down. Stop eating when you no longer feel hunger. Don’t stop eating when you’re full. That’s a hard thing to do, but once we’d gotten to fullness, we have completely over-fueled. That’s one way to think about it as well. I want to thank you for being on the show. If anyone wants to reach you or find your book, how do they do that? They can go to my website, www.KristinKirkpatrick.com. 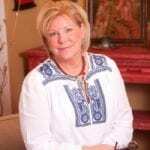 Kristin Kirkpatrick is the President of KAK, Consulting, LLC and a dietitian and consultant of Wellness Nutrition Services at the Cleveland Clinic Wellness Institute in Cleveland, Ohio. She is a best-selling au-thor, an experienced presenter, and an award winning Dietitian. Kristin has been seen on both local and national shows such as the TODAY show, NBC Nightly News and the Dr. Oz show and has contributed to several national Newspapers and magazines such as The New York Times, Wall Street Journal, TIME, Runners World, Oprah, Martha Stewart Living, Food Network, Costco Connection, Self and Women’s Health. The Huffington Post named Kristin “one of 35 diet and nutrition experts you need to follow on twitter.”In December, 2017, Kristin’s show “The New Rules of Food” aired nationally on PBS and received rave reviews.